What are the benefits of dry cleaning? Let us count the ways - 26 of them to be exact. 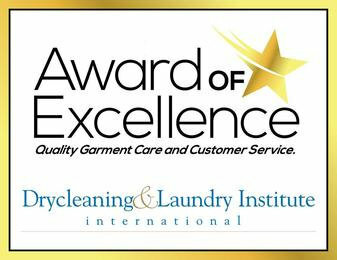 Professional dry cleaners are full-service clothing care specialists. Alterations are one of the many services they may offer in addition to dry cleaning your clothes. Dry cleaners repair loose buttons or sew on new ones, if necessary. All you have to do is drop your clothes off and pick them up. Your dry cleaner takes care of the rest. Why waste hours doing laundry and ironing when you get quality and convenience with dry cleaning? From fashions and fabrics to stain removal to the latest cleaning technologies, dry cleaners have the expertise to clean your clothes right. Why do it yourself or settle for a second-rate job from a so-called "home dry cleaning kit" when you could trust it to an expert? Thanks to special pressing equipment, professional finishing gives garments a crisp, wrinkle-free, like-new appearance that can't be beat. There are no rumples or creases out of place. Plus, by taking your clothes to the dry cleaner, you don't have to spend your weekend standing over an ironing board and a hot iron. Have you got too many clothes and too little space? Some cleaners provide garment storage for out-of-season items. The garments are stored in a vault, which offers protection from insects, fire, burglary, flood, and mildew damage. Furs used to be the primary storage item, but today dry cleaners receive woolens, household items, and other items to store as well. Dry cleaners don't just clean clothes. Many dry cleaners also process household items such as blankets, comforters, decorative pillows, rugs, and even upholstery and draperies. Before they return a garment to you, quality dry cleaners conduct an inspection to make sure your order has met their own and your expectations. If they spot a problem, the garment gets sent back to receive further attention. Safeguards like this help ensure that your clothes will look their best when you come to pick them up. That's how your clothes will look when you pick them up from your dry cleaning professional. You may know what rayon, silk, and cotton are, but what about angora, faille or seersucker? There are numerous fabrics and fibers that dry cleaners must know about in order to care best for the clothes they receive. Each fabric can respond positively or negatively depending on the treatment administered. Dry cleaning professionals also have commercial laundry departments where they process shirts, cotton pants, and other items. With the convenience and superior level of pressing that comes with commercial laundry, it won't just be your dry clean-only clothes that look like a million bucks. Your business casual and casual attire will look their best, too. Clean clothes are the first step to preventing moth and other insect damage. Insects can damage clothes either directly or indirectly. Direct damage is caused by a group of insects feeding directly on a fabric. Indirect damage is caused when insects feed on spilled food or perspiration on the fabric. Moths attack the garment directly, especially wool and wool blends. Some cleaners provide mothproofing as a service. Mothproofing is a chemical treatment given to fabrics that provides protection from insects without leaving the objectionable odors that mothballs do. Ties are often made of delicate fabrics (such as silk) and require special care. Whether you've spilled gravy on your favorite tie or are just looking to spruce it up, a high-quality dry cleaner is best equipped to clean it. Some dry cleaning establishments specialize in odor removal and flood and fire restoration of water- or smoke-damaged items. These dry cleaners use ozone generators to do an ozone treatment. The contact between ozone and the odors embedded in the textiles causes oxidation to reoccur, resulting in the elimination of the odors and the release of oxygen. This is a safe and effective process. 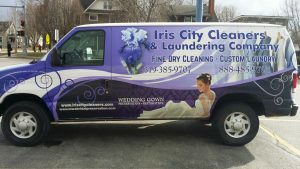 Many dry cleaners specialize in the preservation of wedding gowns, christening gowns, and other family heirlooms. Preservation is a special type of storage that helps prolong the life of a garment for years and years. Cleaners often say that they aren't just preserving a customer's garment, they're preserving a memory. This is what dry cleaning experts should provide and you should expect from them. Accept no less. In addition to preservation, dry cleaners may specialize in the restoration of old wedding gowns, heirloom items, and antique textiles. These items often are very delicate and require great care. Restoration specialists have the expertise to take in these items, although the level they can restore them to depends on their condition at the time they are brought in. It is not uncommon, though, for a cleaner to restore a wedding gown originally worn by a bride-to-be's grandmother well enough that the bride can wear it in her own wedding. Dry cleaners use complex procedures and special stain removal chemicals to remove stains. 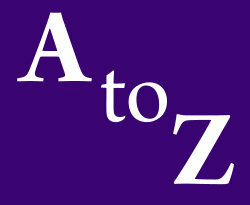 Stains are divided into two major categories: solvent-soluble stains and water-soluble stains. Different stains require different treatments, which stain removal technicians are trained to administer. Why risk a disaster using an over-the-counter "all-purpose" stain removal product or trying a "home remedy" when you could rely on your drycleaner's expert stain removal abilities? Dry cleaners are on top of the latest cleaning and fabric technologies. Dry cleaning professionals aren't just clothes care specialists, they are textile care specialists. Some cleaners will even come into your home if you'd like to clean the upholstery of your couch, chairs, and other furniture. These cleaners have special, portable equipment that allows them to clean upholstery and draperies. A good value is what dry cleaners provide their customers through quality work, excellent customer service, and the extra free time to do the things they'd rather be doing instead of washing and ironing clothes. Wetcleaning is a gentle form of cleaning that cleaners may choose to process sensitive textiles such as wool, silk, rayon, and linen. It gives dry cleaners more flexibility in processing items that may not withstand a dry cleaning process or that have soils that would be better removed in water. For example, many items, such as wedding gowns, are often trimmed with plastic beads or sequins that may dissolve or discolor in dry cleaning but generally perform well in wetcleaning. Items with large water-soluble stains are also more likely to come clean in a wetcleaning process. Contrary to the belief of some, frequent cleaning does not damage clothes. Frequent cleaning extends the life of a garment by removing stains and ground-in dirt and soils. Frequent cleaning removes stains that, if left untreated, could oxidize and cause yellowing. Exposure to heat or the passage of time can cause stains from food, beverages, and other oily substances to oxidize and turn yellow or brown, much the way a peeled apple turns brown after exposure to air. Once they become yellow or brown, these stains become much more difficult to remove and often cannot be removed. That's how long it takes you to drop off and pick up your dry cleaning. Again, convenience is paramount to good dry cleaning.